Photo: British Red Cross - Evacuees being helped off a boat that has arrived from Buzi at the Praia Nova beach, next to Beira port. Mozambique is facing a difficult and hard situation. Cholera is spreading throughout the country after the Cyclon Idai and victims are many, especially children. Red Cross and Red Crescent are collaborating on site to fight the epidemy. 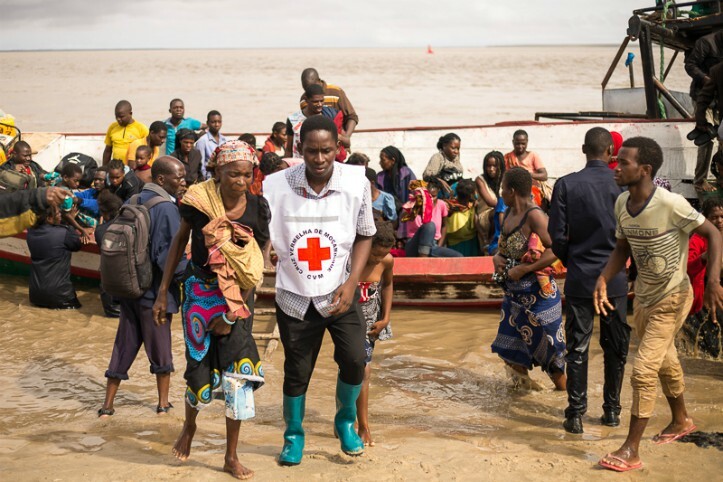 Beira/Nairobi/Geneva, 27 March 2019 – News that the first cases of deadly cholera have been confirmed in Mozambique has accelerated Red Cross and Red Crescent disease prevention activities in the vulnerable communities that have been devastated by Cyclone Idai. Jamie LeSueur, head of operations with the International Federation of Red Cross and Red Crescent Societies (IFRC) in Beira, said: “We will all have to move extremely fast to stop these isolated cases from becoming another major disaster within the ongoing crisis of Cyclone Idai. “The Mozambique Red Cross and IFRC have been anticipating the danger of waterborne disease from the outset of this tragedy, and we are already very well-equipped to deal with it. We have an Emergency Response Unit ready to provide clean water for up to 15,000 people a day, and another emergency mass sanitation unit ready to support 20,000 people a day. “Mozambique Red Cross volunteers, who are well respected within the communities, will also be providing supplies of household water treatment, which is one of the most effective ways to prevent cholera,” LeSueur added. Other measures include the deployment of a Red Cross Emergency Hospital, which is on route to Beira and will arrive today. As well as being fully equipped to treat cases of cholera and acute watery diarrhoea, the hospital can provide medical services, maternal and newborn care and emergency surgery, as well as inpatient and outpatient care for at least 150,000 people. The Mozambique Red Cross has volunteers specially trained in cholera management who have responded to previous outbreaks. Equipment for creating oral rehydration points in affected communities is being deployed in the coming days. On Monday 25 March, IFRC tripled its Emergency Appeal from an initial 10 million to 31 million Swiss francs, to support a huge escalation in Red Cross and Red Crescent response and prevention efforts. The funds will enable IFRC to support the Mozambique Red Cross to provide 200,000 people with emergency assistance water, sanitation and hygiene; shelter, health, livelihoods and protection services over the next 24 months. Cyclone Idai has killed at least 446 people in Mozambique and is estimated to have affected 1.85 million others, according to the United Nations, which also reports that nearly 128,000 people are now sheltering in 154 collective sites across Sofala, Manica, Zambezia and Tete. The floods covered more than 3,000 square kilometres, according to the Mozambique government, and are estimated to have destroyed around 90,000 houses and half a million hectares of agricultural land. 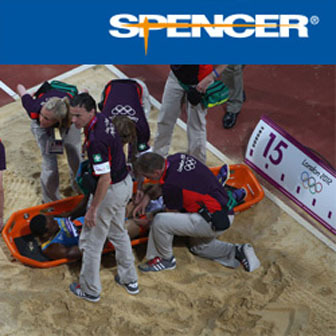 TOP 5 EMS Job Opportunities Worldwide – New Positions as Paramedic and EMTs in Ireland, Canada, UK, India and Italy!